(EP/RPU) (Lima) 1957 - 1971. Photos. Framable Color Prints and Posters. Digital Sharp Images. Aviation Gifts. Slide Shows. 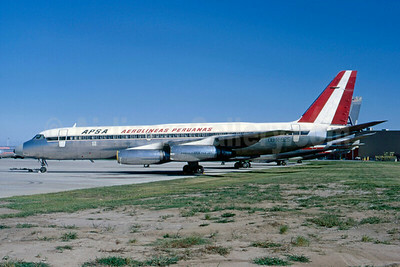 Aerolineas Peruanas-APSA Convair 990-30A-5 OB-R-925 (msn 24) TUL (Ted J. Gibson - Bruce Drum Collection). Image: 925692. 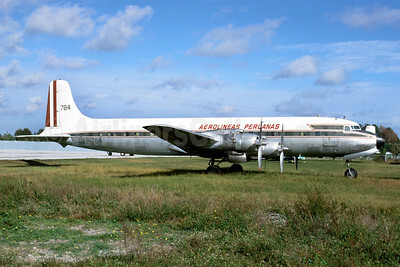 Aerolineas Peruanas-APSA Douglas DC-7B OB-R-784 (msn 44870) MIA (Bruce Drum). Image: 103521. 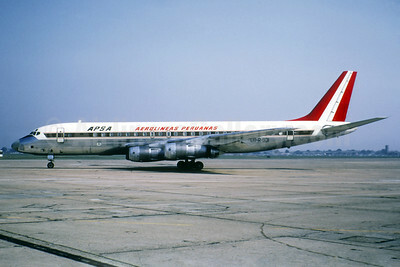 Aerolineas Peruanas-APSA McDonnell Douglas DC-8-52 OB-R-931 (msn 45619) (Jacques Guillem Collection). Image: 939519.